Recently, I received a WhatsApp message from a dear friend wishing me a Happy New Year. It happened to be January 10, and she was quick to add that in France, her native country, it is common practice to send New Year wishes all the way up to January 31. I chose to call her back to wish her. As we got talking, she said she found it less stressful to send out greetings later in the month as she could do it a more leisurely pace. Her remarks set me thinking. I realised it is less stressful and more meaningful responding to such greetings too. Why, her belated wishes had just led us to have a hearty and long overdue chat! When we hung up, I couldn’t help but contrast this with the frenzy of greetings we exchange on New Year Day. Several questions came to my mind. As we try to cope with the flood of text messages on our phones, how many do we actually open, read and respond to? If we are honest with ourselves, there would be quite a few misses and we would be guilty on several counts. While we want all those wishes — and more — we do tend to take the greetings that come our way for granted. We even complain when people start sending out messages ahead of New Year’s — or any other occasion for that matter. “What a pain! Why do people set the ball rolling so early and then again on the big day, I just don’t understand!” a cousin of mine muttered to herself as 2018 was drawing to a close. It’s not as if she was pressed for time and had a million other things to do than read the messages. It was just a reflection of how good wishes can be lost in the rush of traffic. No doubt, things can sometimes get overwhelming. I am not even sure how many WhatsApp groups I am part of, I’ve never counted. But let me just zero in on those that I am active on: That’s three circles of current friends, two groups of school friends, one each of college friends, immediate family, dad’s kith and kin, mum’s family, in-laws, neighbours — old and new, colleagues — old and new, a couple of occasion-specific groups, and how can I forget, some close sub-groups from within these categories. Gosh, never thought the list would be so long. Now for the size of the groups. Let’s just take the one with my dad’s relatives as an example. My father was one of 14 siblings — yes, you read that right — so I have 72 cousins, and a yet-to-be estimated number of nieces, nephews and their growing families. Although I am not in touch with all of them, there would be quite a few on the group. 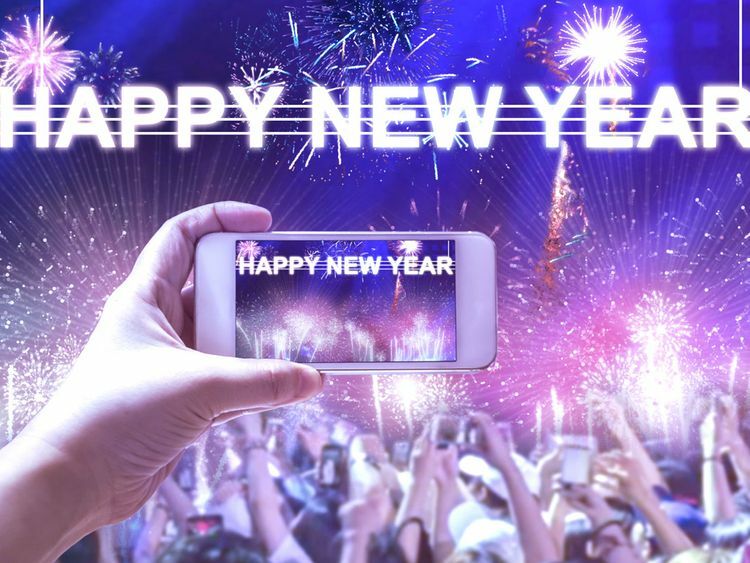 Now imagine every person or even every other person on just this one group sending out a New Year wish in a text, image or video. Add to that the barrage of wishes on all the other groups and from individual contacts who replied to in one or two days? We’ve talked about only one medium so far. What about the messages we get on Facebook, msn, Snapchat, email and of course, the good old telephone Trying to individually send or respond to everyone we know is indeed a mammoth task. We do it to the extent possible and hope, however sub-consciously, that the rest will excuse us. Well, in retrospect, it’s not the best way to start the new year, isn’t it? Instead, why don’t we take a leaf out of my French friend’s book? Let’s learn to stagger our wishes and savour the moments. Remember, there’s time till January 31. So, to all those I may have not wished earlier, Happy New Year!